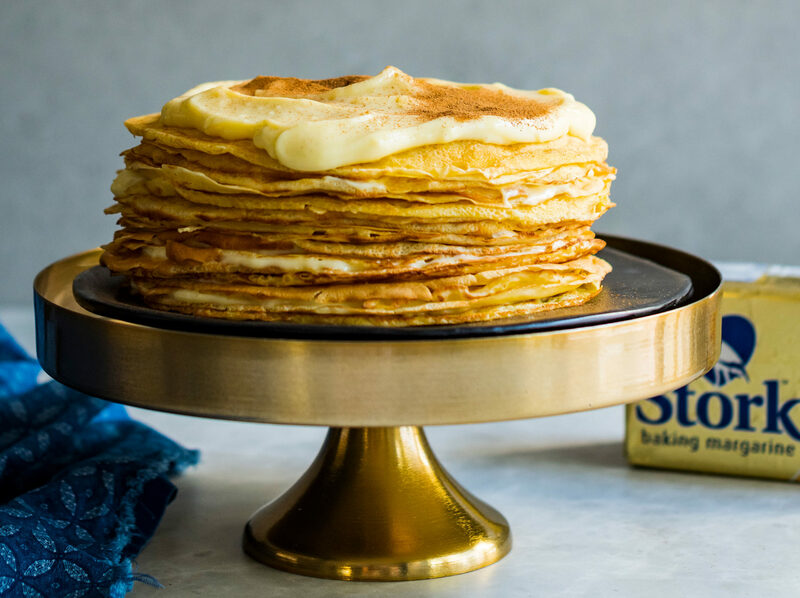 Treat your loved ones to this doable lip-smacking Milk Tart Pancake Cake made by the lovely Baking Ginger. 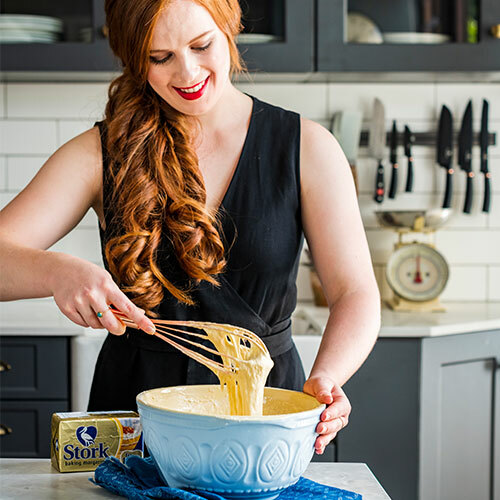 To make the milk tart filling, place the milk in a medium saucepan over high heat and bring to a gentle boil. Take the pot off the heat and stir in the melted Stork Bake and cinnamon sticks. Meanwhile, in a large bowl, whisk the sugar, eggs, cake flour, corn flour and custard powder together. Strain the milk to remove the cinnamon sticks. Pour 250ml of hot milk into the egg mixture while whisking continuously. Add the rest of the milk to the egg mixture and whisk until completely smooth. If the mixture does have any lumps, pass it through a sieve. 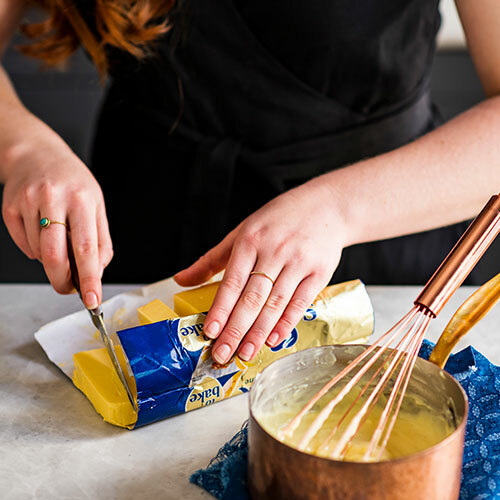 Place the filling mixture back in the saucepan over a medium-high heat and whisk continuously until slightly thickened and the flour has cooked out. Take off the heat, pour into a bowl and place a piece of plastic wrap on the surface. Refrigerate until ready to use. 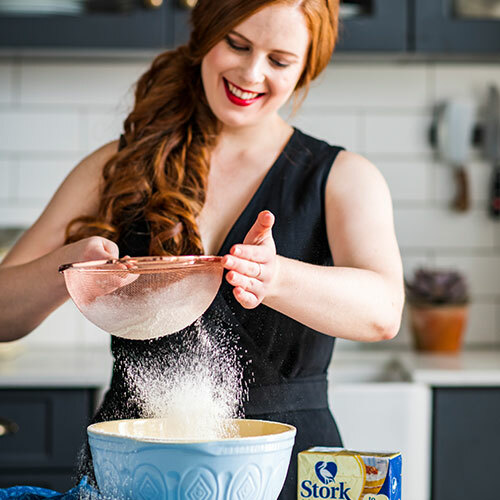 In a separate bowl, whisk the Stork Bake, eggs, water and milk together, then pour into the dry ingredients. Mix until just combined and all the lumps are removed. Be careful not to overmix. Leave the mixture to stand at room temperature for at least 30 minutes, this will ensure your pancakes are tender. Place a non-stick pan over medium-high heat and add a little Stork Bake to the pan. Using a small ladle, pour the batter in and swirl to coat the base of the pan. Once the edges begin to lift and the surface has bubbled, flip the pancake and fry until golden brown. Repeat the process until all the batter has been used. To assemble, place two pancakes on a cake stand and evenly spread a thin layer of milk tart filling to cover. Layer another pancake on top and repeat until the pancakes have been stacked. Finish the cake with the last of the milk tart filling and generously dust with cinnamon. Refrigerate until ready to serve.